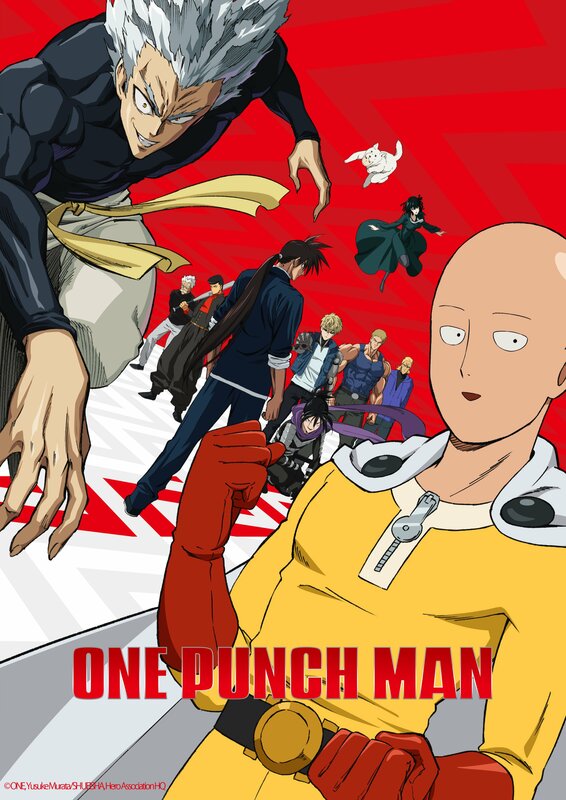 Streaming service Crunchyroll has announced plans to simulcast the second season of the popular action shounen series One Punch Man! One Punch Man Season 2 will be available for the remaining territories in Europe that had yet to be given a simulcast – this will be the United Kingdom, Ireland, non-speaking French & German countries and also the MENA. Italian speaking countries will be able to watch the series on Crunchyroll later in the year. The episodes will air every Tuesday starting April 9th at 6:35pm UK time. You can view the show page here. Episode 0, which aired on April 2nd, is also available. The series was already revealed to be simulcasting in the United States on Hulu on behalf of Viz Media (Canada’s status is sadly unknown). France will be able to watch the series on Anime Digital Network while Germany can do the same over on Anime on Demand. One Punch Man is based on ONE’s 2012 manga series. ONE also wrote the manga series Mob Psycho 100, while OPM’s artist Yusuke Murata also drew the character designs for the manga series Eyeshield 21. The first season of the anime aired in October 2015 by studio Madhouse, but for the second season, studio J.C.Staff will be taking over. Chikara Sakurai will be directing the series. Saitama started out being a hero just for fun. After three years of “special” training, he became so powerful that he can defeat opponents with a single punch. Now, alongside Genos, his faithful cyborg disciple, Saitama is ready to begin his official duties as a professional hero working with the Hero Association. However, the frequency of monster appearances is surging and it increasingly appears as if the Great Seer Madame Shibabawa’s prediction about the Earth’s doom is coming true. In the midst of this crisis, the “hero hunter” Garou makes his own appearance. The first season of the anime series is available to watch over on Netflix for the United Kingdom & Ireland. With Noein, Ouran and the first season of Yu Yu Hakusho now available on Crunchyroll, we take a look at what else was added since the partnership has formed. The first wave of anime coming to streaming services this January has begun! Crunchyroll showed off a ton of new simulcasts throughout the first week of January, so here’s a recap of what they are. The last bunch of the new Winter 2018 titles have been acquired and also another batch of Funimation backlog joins the service for the UK & Ireland.